Home \ About us \ News \ A big thank you to all our ISH 2017 visitors! A big thank you to all our ISH 2017 visitors! After a successful ISH Aircontec we would like to thank everyone who visited us in our booth! This year, the ISH Aircontec trade show was held on March 14 to 18 in Frankfurt. In our biggest booth yet, we showed several new products, including Envistar Top with counter-flow heat exchanger, our AHU Controls app and the reversible heat pump ThermoCooler HP. 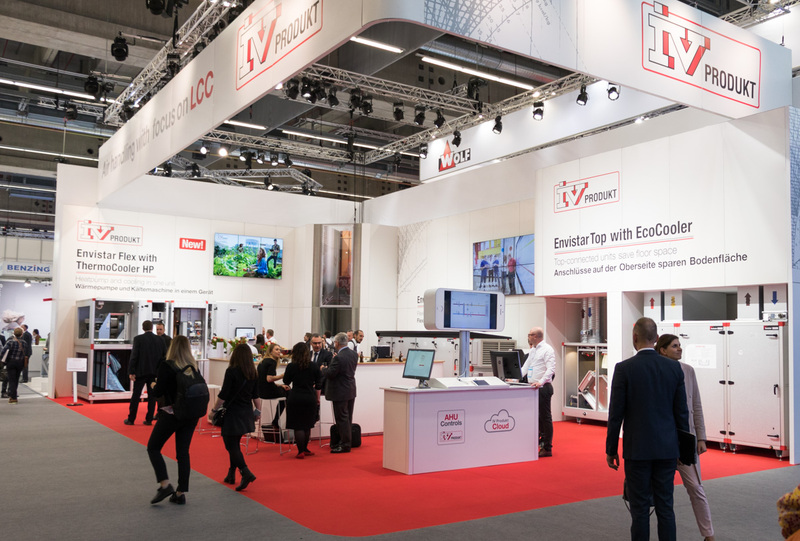 The reception from our visitors was extremely positive and we are happy to have demonstrated how these innovative products can save time, lower costs and simplify installations. Thank you to all consultants, installers, property owners, entrepreneurs, students, industry peers, partners and others who came to visit our booth. We always enjoy discussing air handling with you!